The Pritchard & Jerden family is saddened to announce that J.L. Jerden died on Wednesday, May 3, 2017. J.L. was loving and thoughtful. He was an example to many in life and had a unique ability to make genuine connections with people. J.L. was a scholar, entrepreneur, philanthropist, athlete, mentor, leader, successful businessman, and a sharp dresser. Of all his titles, he was most proud to be a husband, father and friend. J.L. was born in 1937 in Memphis, Tennessee. After graduating from Whitehaven High School he entered Rhodes College (formerly Southwestern at Memphis) where he served in many student body leadership positions. He remained very active at Rhodes throughout his life and served on the Board of Trustees for many years. He received his MBA from Emory University in 1960 and after serving in the Army reserves he came to Atlanta looking for work. Bill Pritchard hired him to work for the Aetna Insurance Company then to work for the William G. Pritchard Agency, which became Pritchard & Jerden. He was a vital part of the success of P&J until his retirement in 2013. J.L. was recognized in so many ways for all of his accomplishments both professional and personal. 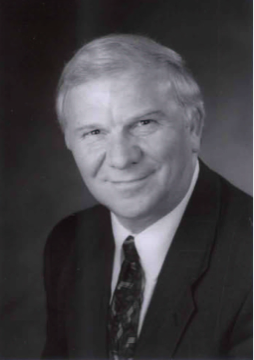 In recognition of his leadership nationally in the insurance industry, he was selected by the Board of Directors of the Society of Chartered Property Casualty Underwriter (CPCU) to serve as the organization’s president from 1985 to 1986. He was a Lifetime member of Braves 400 club, an active member of the Atlanta Touchdown Club, and a lifetime member of the Atlanta Chamber of Commerce. Sports were also a lifelong passion. After playing football at Rhodes College, J.L. became a football referee in the Southeastern Conference. J.L. loved travelling, country music, children, sports, and having fun with family and friends. He also loved his church, where he served in many capacities. J.L.’s family includes his wife Jane Jerden and children Susan and John Isakson, Jim and Monica Jerden, Eddie and Ali Jerden, and eight grandchildren who called him “Gipps”. Two sisters, a brother and several cousins, nieces, and nephews survive him. In lieu of flowers, donations can be made to Northside Drive Baptist Church at 3100 Northside Drive, NW, Atlanta, GA 30305 or the Charles Daniel Joyner, IV Memorial Fund at Georgia Southern University.